In recent years, the lighting industry has gone through huge changes. Light fixtures have become more reliable, more energy efficient, longer lasting, more durable, and they offer better quality lighting. All of these (and many others) are due to LED lighting technology, which has been steadily replacing obsolete (and now) energy-inefficient technologies. As of now, LED lighting is the ultimate lighting technology. But, what does the future hold for LED technology? This is a question that many people have been asking and with good reason. After all, incandescent lighting technology (which has persevered for decades) and fluorescent lighting (which was seen as the most energy efficient technology before the coming of LEDs) are being phased out. So, what is stopping LED lighting from becoming obsolete and being phased out in a few years’ time? Well, the answer to these questions lies in the unique benefits of LEDs and the difference they have been making in various sectors. 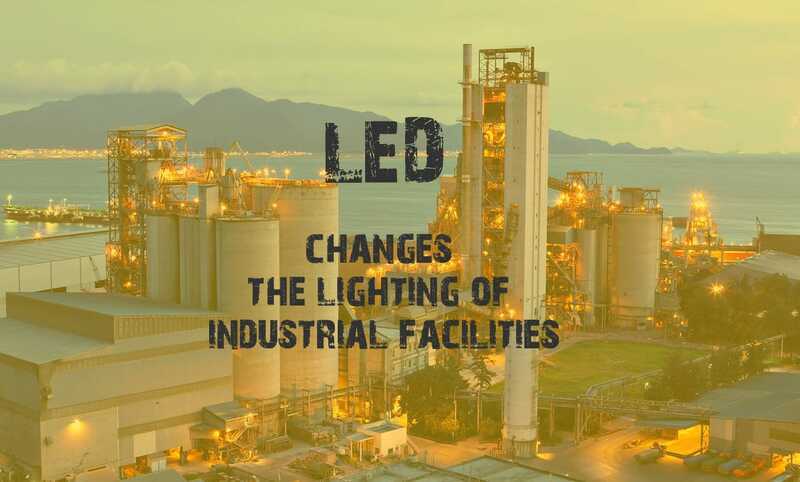 One of the sectors that LED lights have really helped to revolutionize is the industrial sectors, and from the look of things, the use of LED fixtures in industrial facilities is not going to stop any time soon (if not never). 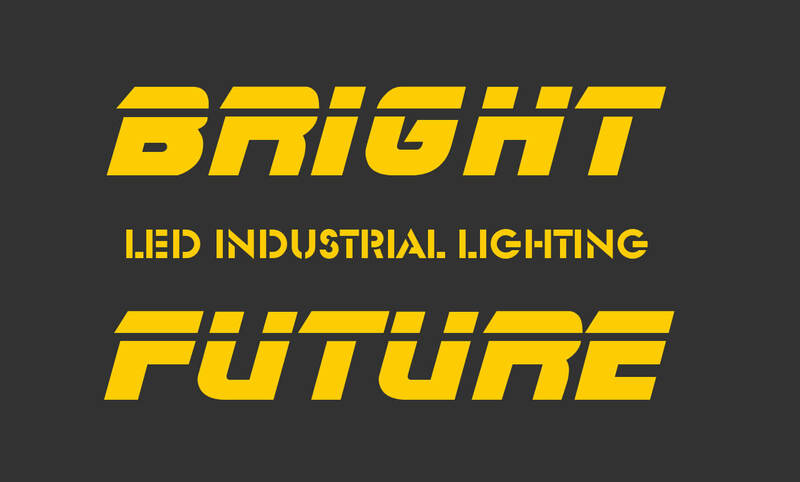 Why is the future bright for industrial LED lights? One of the reasons why the future is looking bright for LED lights is the fact that they are the most energy efficient fixtures as of now. LED fixtures can have an energy efficiency of between 90 and 150 Lumens per watt. On top of that, they use considerably less power compared to the previously used fixtures. This helps to reduce the energy consumption by up to 80%. 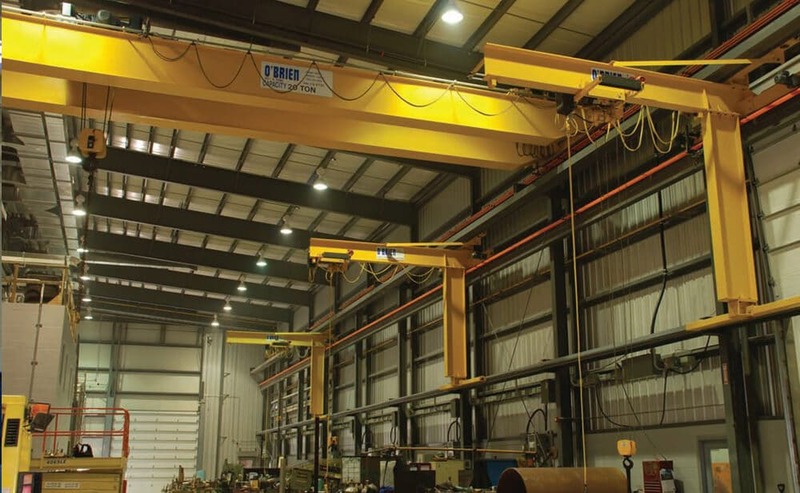 In an industrial facility, an energy reduction of 80% is not something that can be underestimated. Utility bills for light fixtures are one of the top overhead costs in industrial plants, and such a drop in the consumed energy would mean a significant decrease in the operating expenses. Given the huge energy benefits that LED lights offer, it is unlikely that the industrial sector will abandon them any time soon. In fact, given the recent push to design and develop even more energy-efficient LED fixtures, you can expect to see an increased use of the fixtures. For a while, the industrial sector experienced challenges with lighting due to the short lifespan of incandescent and fluorescent light bulbs/tubes. As you already know, the lifespan of these fixtures is considerably short. 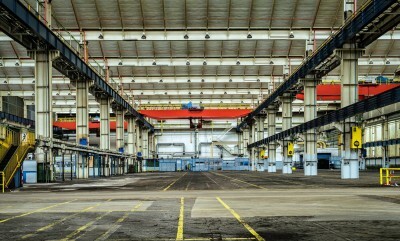 And when it comes to industrial lighting, the lifespan becomes even shorter. This is because of the fact that industrial facilities need high-performance fixtures in order to properly illuminate their spaces. And with incandescent or fluorescent lighting, the only way to achieve this is by using high wattage fixtures, which produce a lot of heat. The heat does considerable damage to the fixtures internal elements, making them extremely vulnerable. Therefore, after being used for a short time, they simply burn out, requiring replacements. This can become expensive very fast. Fortunately, since LED lights were introduced in the market, the longevity of industrial light fixtures has not been an issue. 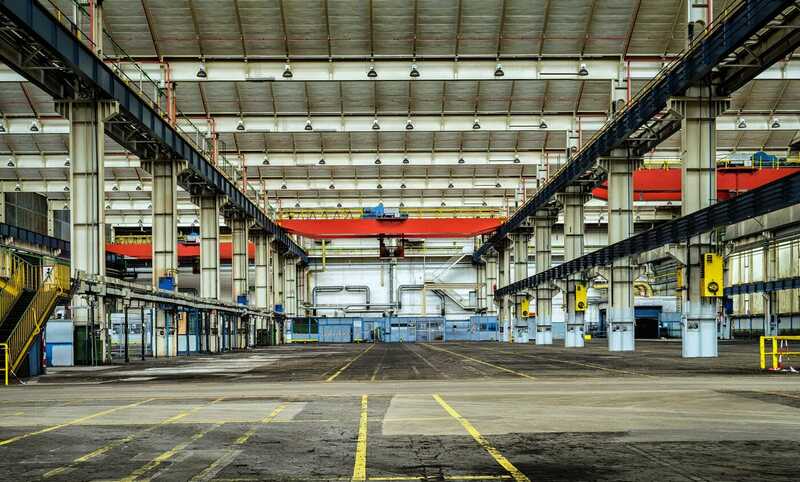 With a typical LED fixture having a lifetime of about 50,000 hours to 70,000 hours (some even going as high as 100,000 hours) industrial facility owners and managers can enjoy reliable lighting for a really long time before they have to replace the fixtures. As a result, they are not likely to let go of these fixtures any time soon when they can offer them a long and reliable service. And with the on-going research into increasing the lifespan of LEDs, you can only expect their attractiveness in the industrial sector to increase. One of the earliest challenges that faced LED lighting when it was introduced to the market was the expensive cost of the fixtures. Unfortunately, this is something that has negatively impacted the technology until recent times. To guarantee their high performance, energy efficiency, and long lifespan LED lights to come with advanced designs, which are expensive. There are also other factors that drive up the cost of LED fixtures, which include the lack of standard designs and the high cost of raw materials. The good news, however, is that all these cost issues are being addressed. Manufacturers are coming together to create standardized and cheaper light fixture designs. There has also been a push towards using cheaper raw materials in the design of LEDs, for example, plastics and organic substances. These solutions will help to address cost challenges of LED fixtures, thus making them cheaper (and without compromising their other benefits). This will make them even more popular than they already are, especially in the industrial sector. Environmental issues are a huge concern when it comes to lighting, and they can have a huge bearing on the future of any lighting technology. Take, for example, incandescent lighting technology. Despite the discovery of fluorescent lighting, incandescent fixtures continued on being used without much of a fuss, despite the fact that they were very inefficiently. This happened until the coming of the LEDs, and when people realized just how much damage the incandescent fixtures were causing the environment. Soon after, there were campaigns to phase out these fixtures, which have since ended with several government bans around the world. Fortunately, LED lighting technology is on the other end of the spectrum. 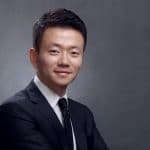 Among the top supporters of LED lighting are environmentalists, who will sing praises about the various environmental benefits of the fixtures. And given that this is not about to change any time soon, you can expect LED lights to stick around for a very long time. Lastly, another thing that has guaranteed the bright future of LED lights in industrial facilities is the high return on investments offered by LED fixtures. As already mentioned, LED fixtures are energy efficient, which helps to save a lot of money. They are also longer-lasting, which means reduced replacement costs. On top of that, they do not damage easily, which helps to reduce the costs of repairs. When you add up all of these benefits, you end up getting reduced overhead costs plus an increase in the productivity (due to the high-quality lighting). Therefore, even if the initial cost of the fixtures is a bit high, you are able to recoup it within a short time. This is a great scenario for industrial facilities.